Wotton Tyre & Exhaust Centre offer a high tech state of the art tyre fitting and balancing service. Our brand-new state-of-the-art alignment machine can have your car's alignment problems fixed in no time. Get the most out of your tyres and optimise your vehicle's fuel economy. Tyres that are not balanced or are out of balance generally produce a vibration that is uncomfortable to drive in and results in premature wearing of suspension and steering components, rotating parts and tyres. Correctly balanced tyres help to eliminate vibration and avoid premature wear caused by an imbalance in the rotating tyre and tyre assembly. The first sign that your tyres may be out of balance is when your steering tyre starts to wobble above a certain speed. The light weight of modern cars means that they don't dampen down the vibrations caused by spinning tyres in the way that older, heavier vehicles could. A driver may not always sense an imbalance at the steering tyre. It could be present with but dampened by the vehicle weight. This is why balancing is equally important for both front and rear tyres. 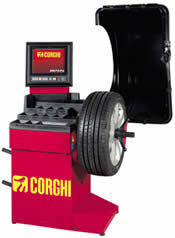 Tyres are balanced on a tyre balancing machine. The machine rotates the tyre and tyre assembly and automatically calculates the weight and location of the balance counter weight. As a result of tyre balancing, you should notice a smoother ride and better wear from your tyres, again saving you time and money. In an industrial world Wotton Tyre & Exhaust Centre recognise the need to take measures to maintain our natural environment. We have many best practice policies ensuring sustainability. We operate a recycling program, which helps to address the global problem of tyre waste. Wotton Tyre & Exhaust Centre use a tyre disposal service, which collects waste tyres from fitting centres across the UK. These tyres are then broken down and the rubber is then re-used. Wotton Tyre & Exhaust Centre have a full range of fuel saving tyres. 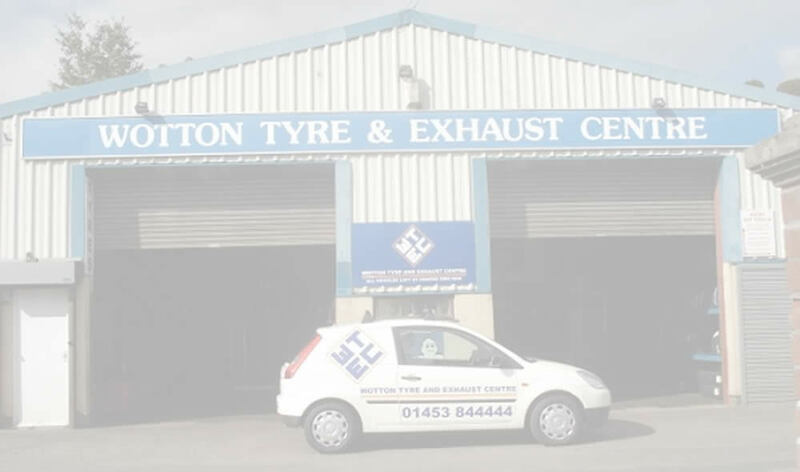 Wotton Tyre & Exhaust Centre provide a polite and professional service within the tyre Industry. We are not only proud of our competitive pricing, but also of our tyre fitters. 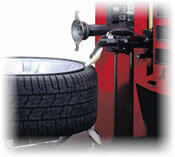 Wotton Tyre & Exhaust Centre tyre fitters have massive industry experience, and will help you with your tyre questions. Our pricing is honest and we do not hide costs. How can an alignment and wheel balancing improve your vehicle's performance?